TECNO Mobile has added two new smartphones to its Spark Series – “Tecno Spark 3 and Tecno Spark 3 Pro”. I have compared the two phones for your reference and I believe it’s exactly what you searched for. These new devices are now an upgrade to Tecno Spark 2 phone. So before you order for this phones, you need to check the specifications and features of what you want to buy here on this post. Tecno Spark 3 and Tecno Spark 3 Pro are similar in many ways but slightly different in some aspects. There is 6.2 inches FullView display with a notch on both Spark 3 and Spark 3 Pro. Both devices have a 13MP +2MP rear camera, 8MP front-facing camera, 16GB of expandable storage and a 3,5000mAh battery capacity. However, the difference between Tecno Spark 3 and Tecno Spark 3 Pro is processor used and RAM configurations. Spark 3 have MediaTek MT6580 SoC chipset with a Quad-Core Processor clocked at 1.3GHz while Spark 3 Pro have Mediatek MT6761 Helio A22 SoC which also a Quad-Core Processor. The lower model Tecno Spark 3 uses 1GB RAM while the higher model Spark 3 Pro uses 2GB RAM. TECNO Spark 3 has a larg 6.2-inch display with a notch. Though the notch is bigger on this phone and the device body material is a shiny plastic with 4 colours options which includes Black, Red, Gold and Purple. You will find a dual camera with a LED flash on the 2GB RAM model and a single rear camera also with an LED flash on the 1GB RAM model. There is also a dual SIM slot and dedication MicroSD Slot for storage expansion. 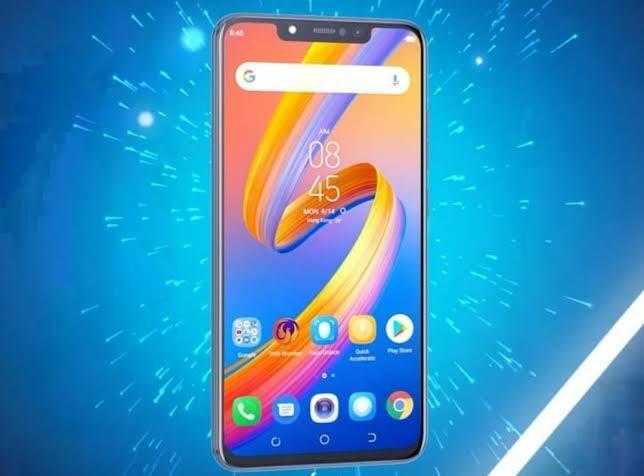 The 1GB RAM model has a single 13-megapixel camera at the back and 5-megapixel camera in front foe selfies while the 2GB RAM model has dual rear camera setup of 13-megapixel and 2-megapixel while in front, it also has 8-megapixel shooter. Both models have 16GB of internal storage which can be expanded via the onboard microSD card slot. The 1GB RAM model runs on Android 8.1 Oreo Go Edition out of the box while the 2GB RAM model runs on Android 9.0 Pie out of the box, both of which will have TECNO’s HIOS custom theme on top of it. Both Tecno Spark 3 & Tecno Spark 3 Pro uses the same 3,500mAh battery capacity with no fast charging features on both models. There is no 4G LTE network support on Spark 3 models but it’s available on the higher model which is Spark 3 Pro. Both models supports 3G and 2G networks while other available connectivity options includes; Bluetooth, GPS, 3.5mm jack, WiFi, WiFi hotspot, WiFi direct and a microUSB port for charging and file transfer. Tecno Spark 3 and Spark 3 Pro are now commercially available for purchase in some countries like South Africa, Nigeria, Kenya, Ghana and India. The starting price of the phone is $110 (N36,000 – N37,000) for the 2GB/16GB model and $100 (N34,000 – N35,000) for the 1GB/16GB model. Now let’s look at the specs of Spark 3 Pro and what it has to offer to the user. Which Phones Are Similar To Tecno Spark 3? 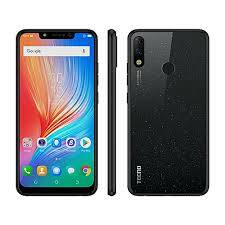 If you are looking for Tecno Spark 3 alternatives, you can check the likes of Infinix Hot 7, iTel P33 Plus, Huawei Y5 Lite, Samsung Galaxy J4 Core, Gionee F205 Lite, Gionee S8s, Infinix Hot 6X, Infinix Smart 2, Xiaomi Redmi 6 etc. You may also like Tecno Spark 2 and Tecno Pouvoir 1 & 2. That’s all I have today on the latest Tecno Spark 3 smartphones added to the Spark lineup.